require no swaging or special tools. 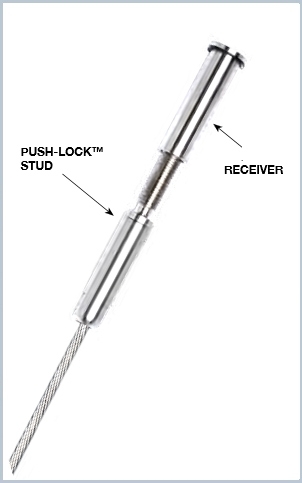 No field swaging Similar to our Invisiware® receivers but when used with Push-Lock studs there is no need to swage the threaded stud onto the cable. Receivers with Push-Lock swageless studs can be used with any fitting on the other end, but when used with our other swageless fittings, both ends can be put on the cable by hand without any swaging or special tools.